It’s Tuesday, October 30th – and NBC 6 has the top stories you need to know. Weather wise, the cooler morning temperatures will lead to a comfortable afternoon with high temperatures in the mid-80s. A candlelight vigil is being held in Miami Beach tonight to honor the 11 victims. The Greater Miami Jewish Federation is welcoming a community of all faiths to the solidarity vigil to denounce anti-Semitism and all acts of hate in our country. This is happening at 6pm at the Holocaust Memorial on Meridian Avenue - heavy traffic is expected, so try to use ride sharing services to get there. A popular fall tradition is back as the location in Redland is open! Lines are long but worth the wait for those cinnamon rolls and really anything else. It's cash only and you have a better chance of a shorter list of you go weekday. President Trump and former President Obama are both hitting the campaign trail this week in Florida as NBC 6 breaks down the issues, candidate, early voting sites and what to bring with you. Did you know that candy corn was created in the late 1800s? Originally made with corn syrup, sugar, water, marshmallows, wax and more, the original ingredients are still used in the recipe. 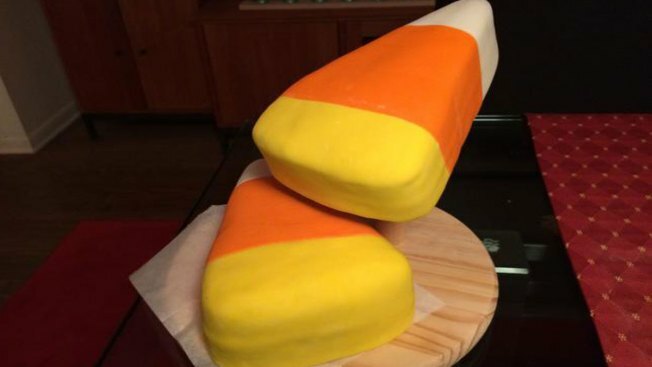 People have a love-hate relationship with candy corn. A recent names it as one of the ten worst Halloween candies. No. 5 – Need a last minute costume idea? You can be a "smart cookie" with a cardboard cookie cutout over any outfit. If you have a partner, dress up as Snapchat filters in human form or as Starbucks and Target employees. Or maybe you can go as “Em and m" - as in Eminem the rapper and M&M the candy.